Woolton Picture House is available to hire for events, party hire and private screening! We can offer you opulent and unique surroundings for an unforgettable occasion. With over 256 relaxing pull-man armchairs this sumptuous, historic cinema allows for a truly exclusive experience. The creative environment, flexible space, allows you and your guests to become part of the movies; with personalised foyer music and on screen photo montage available. Combine this with high quality service from a dedicated staff member and technical support, makes Woolton Picture House a superb option for any occasion. 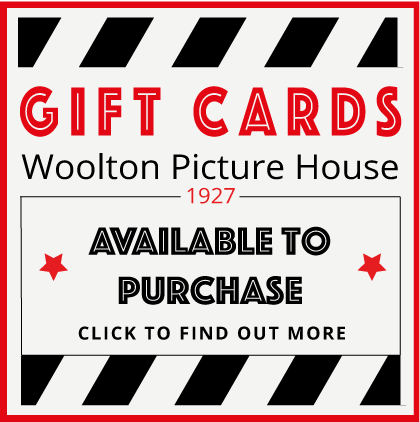 What Occasion Can I Hire The Woolton Picture House For? Birthday Parties, Weddings, Corporate Events, Anniversary Parties, Film / Photo Shoots, Romantic Private Screenings, School/Nursery Trips, Hen / Stag Parties, Charity Events, Wedding, Wedding Video Screening, Q&A Film Screening and much more. Will I have exclusive use of the cinema? Yes. Hiring the Woolton Picture House as your venue means you will have exclusive use of the cinema auditorium for your special occasion! How Many Hours Can I Hire The Woolton Picture House For? You may hire the Woolton Picture House for 2.5 hours. 50 guests are included in the set price. If you would like to invite more than 50 guests please enquire with regards to costs. What Time Is The Cinema Available To Hire? What Movie May I Choose For My Venue Hire? You may select any Movie of Your Choice; this is Subject to License Availability. Your chosen movie will be confirmed with you. What Facilities Are Available To Me During My Venue Hire? * When hiring the cinema you are able to choose to open the kiosk and ice cream stall to purchase a variety of drinks and snacks with 10% discount. * Facilities are also available for you to bring your own cold food. * A dedicated member of staff will be present throughout your event, to ensure the occasion is enjoyable. *License to serve alcohol available between 11:00 - 23:00. Will I Be Able To Personalise My Event? * At Woolton Picture House we are able to offer you the chance to be on screen. You may choose to have a personalised on screen photo Montage or Home video played on the 'big screen'. All you would have to do is provide your selected photographs or video on a CD/USB as you would like them to be seen on the screen during your event. * You may select the time you would like your movie to commence. * You are also able to select the option of having a traditional intermission. * You may supply the foyer & intermission music for your guest to listen to. Will A Member Of Staff Be Present During My Event? * Technical support will also be provided before and during the event. Are There Additional Food & Drink Packages Available? Yes. There are many food and drink packages available for you to purchase. Please request more information on your booking form or ask a member of staff.